Two level studio apartment with a mezzanine bedroom. Sleeps two. 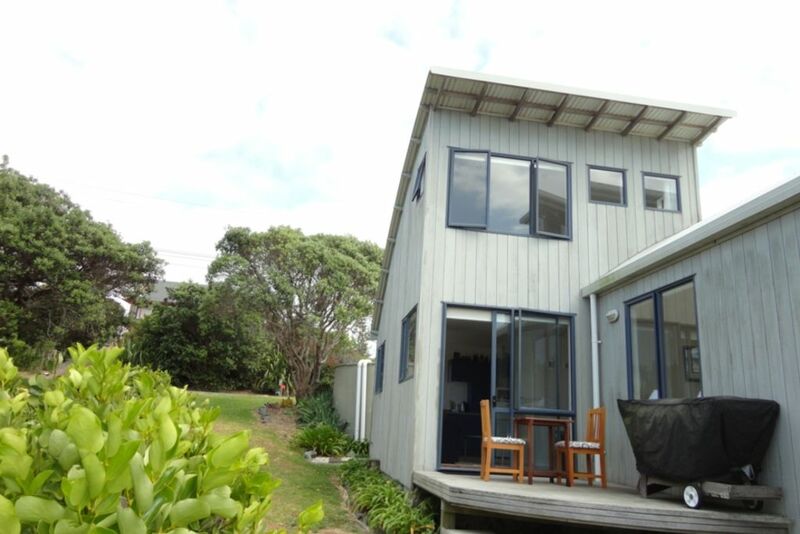 Located in central Leigh to take advantage of all that the beautiful Matakana Coast has to offer. The studio is self contained, with its own entrance, but is attached to the main house. Well equipped small kitchen includes basic cooking supplies, a four hob gas burner, portable oven, microwave and fridge/freezer. Flat screen TV with Freeview and free Wifi. BBQ on small deck. Compact bathroom is downstairs. The ship's ladder to mezzanine bedroom is steep and narrow, unsuitable for those with mobility issues. Check out the photo. Perfectly positioned to take advantage of all the marine activities and walking tracks within the area.. Fishing, diving, surfing, snorkelling, swimming, kayaking, & coastal walks, Goat Island Marine Reserve and the Discovery Centre, glass bottom boat. Gigs and meals at the iconic Leigh Sawmill Cafe. 1km to lovely Matheson Bay, 10 min drive to Pakiri Beach, Omaha, the Matakana Markets, local cafes, restaurants and local vineyards. Special conditions:: Absolutely no smoking inside. Minimum 2 night stay from Dec 25 to Jan 25. The bonus of pay for three, stay fourth night free, does not apply for this period. Separate entrance and own deck, although attached to main house. Great accommodation, highly recommended,everything was well done, fruit in bowl, food in frig,.bathroom well equipped. Very comfortable lounge area. Condiments available in kitchen a nice touch. Wendy welcoming and available if needed. Thanks for the kind words Janice. I do hope the birthday went well & you had a special time with your brother. I saw Karen at business house bowls tonight and she said you & Barry are the favourite family members. Safe travels home. Well appointed, spacious studio with some lovely views from upstairs to Tawharanui and Coromandel. Great spot, close to the local coastal walks. Studio has thoughtful touches like flowers, fruit as well as all you need for a short getaway. Wendy very helpful and accommodating. Wendy was a friendly, helpful host. Very clean, with extras like flowers & fruit. Lovely sea views from bedroom. Wendy was inviting and helpful, the accommodation was as described and was a great base for a weekend away. Would definitely stay again!